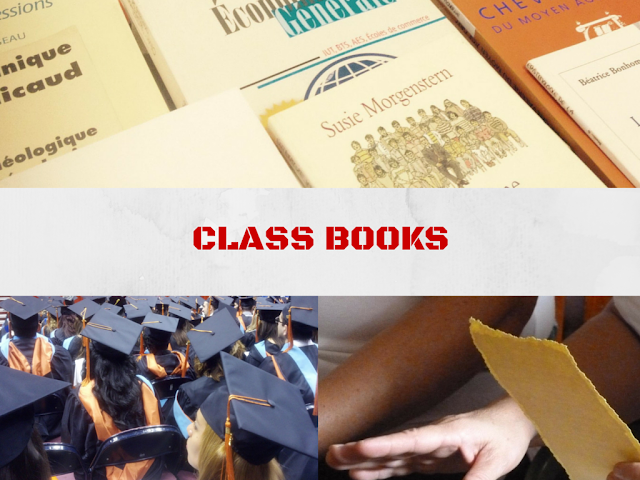 You are going to need books for your classes, and nowadays you get the choice of buying them in paper format or electronic format. It is going to be expensive, and once you have finished your qualification then you may never use them again. This is not always true, but it should be considered, and selling them back or getting a partial refund may be something you should consider. This is especially true if you are a freshman. Buy them in advance and you are in trouble if you drop out of a class. Lots of people are sure they are not going to drop out of a class until they actually get to it. You get to a lesson and spend the first half not understanding what is going on, and the second half feeling sick to your stomach. Buy the books after you have started your classes. They are cheaper online, and it is really up to you if you buy the electronic version. It is often acceptable to have your laptop or tablet on in a lecture so you can see your books. Otherwise, buy them in paper format and have them sent to you. You may be able to save money if you rent the books, and you can rent for the entire term or just for the time it takes for your paper versions to be delivered. Some of the companies have a buy-back program which means you can get some money back for your books, so factor that into the equation too. Also, factor in the fact that you get that money back in the future, which means you do not make the saving right away. There are a number of options with different price plans. The most obvious price factor is how long you wish to keep the books for, with the longer the period then the better value but invariably the more immediate expense. Then consider buying e-books or buying paper books, and renting e-books or paper books. Do they allow you to return your books when you are done? Is there a money back policy if you return the books? Will they charge you a shipping fee to return the books? If you wish to return for a full refund, then how long do you have? Because you usually have between 7 days and 30 days, but it could be less and if you drop out of a class then you may be stuck with the books. There are many students in college who lack the needed resources to pursue their study, including books. This provides perfect opportunity for other students who have the resources to come in. A collaborative environment is a venue not only for creating acquaintances among college students but moreover, instilling the value of sharing and social responsibility. Through collaborating with other students we can find many opportunities that come along with it. Those students who have no or limited access to library can seek help from co-students. In this manner, every student becomes his own library for others. This collaborative effort teaches the students to value resources for common use and benefits. Online version or copies of books are now becoming popular these days. They have a number of positive impacts to students. Among the most common benefits is that with online copy of books they are lighter than carrying printed books. All you have to do is bring a reading device such as smartphone or tablet and then you can read thousands of books from your device instantly. With the advent of internet reading books has been made more enjoyable and comfortable experience. It can save you from the troubles of physically going to a library and waste time locating the books you are specifically looking. You can immediately locate books through various search engines like Bing and Google. It is also good to note that upon searching the book in the internet, the search engines will notify you of the list of links of the books thus giving you wide choices. You can also sort the links according to how recent they are. Also, when you are reading online copies you promote environment-friendliness because unlike paper books, you do not have to use ink and papers which is derived from trees. There were times when the book you are looking is not available in the library. Perhaps someone has already borrowed it but at times books cannot be located in the shelves indicating that they are missing. When this is the case, you can request for the staff in the library to search for the missing book. Usually, libraries have a form in which you have to indicate the title of the book and other relevant information such as the author, book call number so that the staff could easily identify the missing book. You also need to submit your personal information such as your name, contact details and or email address. The staff will then will place a hold for you and notify you when the book has been found. If you are unable to locate a specific book in the shelf but the book’s status is ‘available’ in the catalog you are looking for a missing book. However, because most of college libraries already digitized their catalogs it is now easier for students to request search for a missing book. What you have to do is fill in the form on the site of the college library online and then submit your request. The next thing you want to do is just wait until the circulation staff notifies you. This is not a full and comprehensive list. It is just a list to get you started and you should be wary of giving any website your money until you have researched it fully. The services here are for buying textbooks that are delivered to you via the post. There are over eight million books in this directory, and there is a Smartphone app. It allows you to rent textbooks, and if certain stores near you have the book then you can pick it up from there instead of having to wait. There is also a search engine on the website that allows you to compare book-renting prices, though they obviously have a vested interest in appearing the cheapest on it. Their return policy if fair and they are quicker at posting out your books than most on this list. They both rent and sell textbooks and have other books that are not required for your course but that may be of help to you. You should shop around, but some consider Chegg one of the cheapest online textbook-rental companies. This company sells you books and then offers to buy them back when you are done with them. It is a different slant on book renting, and they also sell digital versions which means you may not have to go for paper-based books at all. They have five million textbooks on offer, and they have a free shipping policy. Their returns policy if fair and you get to rent the books for as long as you need, so long as you are willing to pay more for a longer rental. You can also buy used books, but they tend to have doodle, notes and highlighter markings in them. This service allows you to buy or rent books from the online shop and has a referral program where you get money off if you introduce your friends. You also get free shipping if your purchase or rental costs more than a certain amount. Amy Cowen is a private teacher and essay writer at Aussiewriter.com She is fascinated in working with students and sharing experience with them.